In the evolving, hyperconnected digital workplace end users are priority number one. The focus has shifted. In the evolving, hyperconnected digital workplace end users are priority number one: Are they engaged? Satisfied? Does technology work as they expect? Can they seamlessly access the tools and resources they need? As a result, the role of IT teams and CIOs has undergone a significant transformation: It’s no longer enough to respond quickly when issues emerge or implement predictive maintenance and security plans. Now, tech specialists must respond to user needs — before they know they need them — to empower corporate futures. But abstract expectations are one thing; how do companies embrace the emerging value of end-user experience? In the digital workplace, staff expect both an attentive IT staff along with the ability to self-start projects and self-solve problems. As noted by Forbes, emerging technologies such as virtual and augmented reality, personal clouds and embedded analytics help drive this user-centric universe. Combined with existing legacy applications and required corporate security oversight, however, CIOs and end users often end up on opposite sides of a digital tug-of-war, with executives pulling for stricter controls as employees strain for more freedom. This creates organisational stress. But addressing the digital knowledge gap is only half the battle. Consider the findings of a recent study by IT staffing firm Robert Half Technology, which discovered that employees spend an average of 22 minutes every day dealing with IT-related issues. From apps not working as intended to poor network performance or authentication and access issues, workers are losing almost two weeks per year in productivity. Executives, meanwhile, are often bogged down in data-heavy reports that don’t accurately reflect current IT issues or offer actionable solutions — in effect, they’re forced to manage the fast-moving digital workplace while standing still. Even more worrisome? Most IT issues don’t happen in isolation. What seem like one-off performance problems or risk factors may produce a cascade effect that quickly compromises your network at large. The solution sounds simple: Spot the first occurrence and implement controls to stop the spread ASAP, but what does this look like in practice? User training — Employees are constantly inundated with new technologies and as noted above want to know more about effective use. For organisations, this presents an opportunity to both answer staff needs and increase overall IT security. While many companies can’t afford to handle this initiative entirely in-house, it’s also not enough to rely on government initiatives or unregulated staff-to-staff training to fill this need. So what would be the best bet? Source a reliable third-party training partner who can help your organisation design and implement hands-on efforts, which both improve employee confidence and reduce the chance of internal security breaches. Seeing is believing — what’s really happening on your network? While traditional monitoring and discover tools focus on servers and other local hardware, in a cloud-based tech environment the largest source of actionable data is user endpoints. Put simply, everything is now an endpoint — from mobile devices to workstations to wearable technology. And each interaction staff make with corporate networks is a potentially valuable data point. Did they encounter difficulty accessing apps or services? Was performance slow or “laggy”? Are they faced with ongoing issues? While they may self-report some problems, they’re likely to skirt the issue if they’ve accidentally misused resources or believe that IT intervention will make things worse. Monitoring tools capable of identifying and reporting issues in real-time can help IT react before small problems become big issues. It all boils down to discovering more about your end-users. With many IT pros and CIOs more familiar with routers and servers than staff experience, it’s impossible to get an accurate read on emerging IT issues. Just as digital workplace users now expect visibility into their own tech environment, CIOs need the same upgrade to monitoring and analytics technologies — a way to discover what’s happening across the end-user network anytime, anywhere. The breakneck pace of digital advancement has created a divide. IT professionals enjoy deep knowledge of highly technical concepts, while other staff have surface-level interactions with a host of emerging technology. 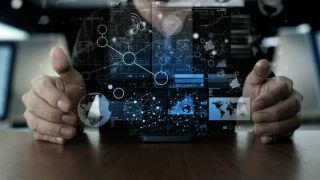 And while it’s not time or cost-effective to train every employee as an IT expert, there are significant gains available if companies commit to increasing overall tech knowledge while simultaneously leveraging techniques which let IT staff identify and understand potential user issues. Bottom line? The digital workplace is now designed to empower end users. But if they lack technical skills or experience repeated IT issues their productivity suffers — even 22 minutes per day could mean millions lost each year. Owning value in this environment demands a new CIO mandate: Training for employees to embrace their digital potential and advanced end-user experience management to avoid performance and productivity pitfalls.